I just stumbled upon one the best holiday gift and stationery trends I've seen in a long while. 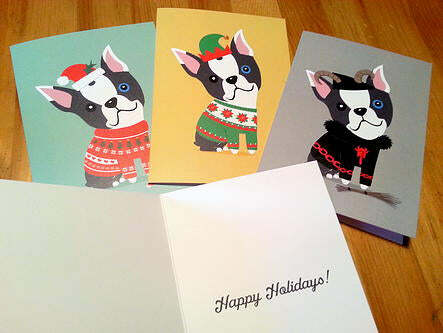 Pet holiday cards!!!!! 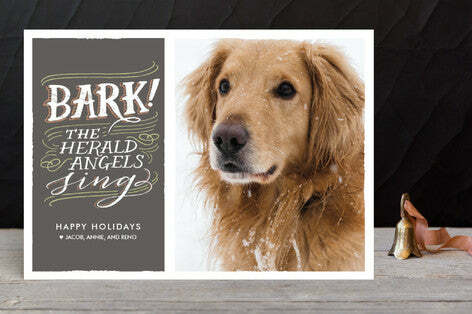 Not only are they adorable but solve several problems people face this time of year when tackling Christmas cards. No kids? No problem. Single with no dates on the horizon? Don't worry. Or, maybe you have several little ones and can't seem to wrangle them all for the annual family photo? No sweat. Pet cards to the rescue! Not sure about you, but this card had me grinning immediately! 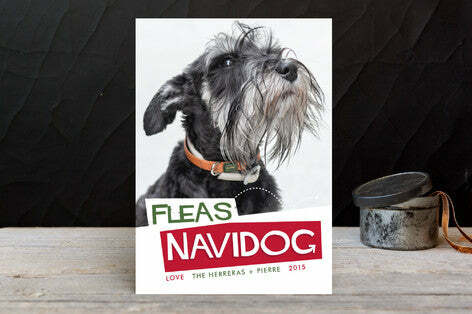 It can't get much cuter than this cheeky "Fleas Navidog". Via Minted. As a pet owner, I'm quite familiar with this guilty dog face. I only WISH mine would eat infamous fruitcake instead of my shoes. Via Minted. Even custom designs are possible! 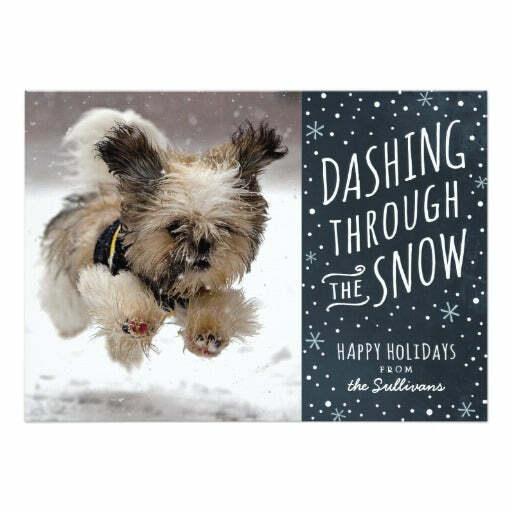 Submit a photo of your dog along with your choice from an array of holiday sweater designs...Christmas, Chanukah, Kwanzaa, Poinsettia, Winter, Krampus, Festivus, or Yeti. And voila! 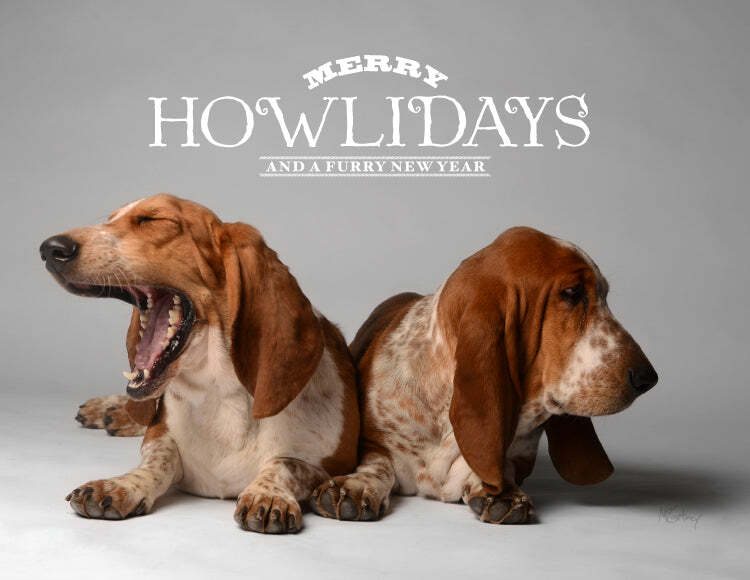 The perfect holiday card. Via Lili Chin of Doggie Drawings. An adorable twist on the Christmas classic. Your Golden (or any other breed for that matter!) will be perfectly paired with this modern, yet soft, design from Minted. I saved my favorite for last! Not sure about you but I always take hundreds of shots of my pups playing the snow to the point of being obsessive. I'm sure my neighbors judge. Anyway, if you have a shot like this, "Dashing Through the Snow" is sure to bring tons of holiday cheer. 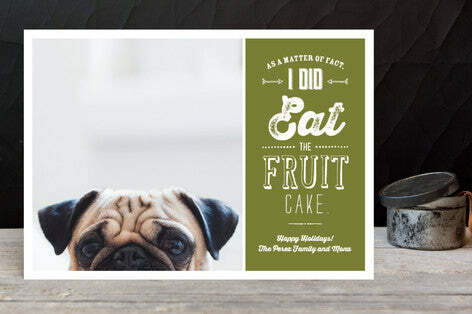 I can't get enough of this card from Minted. 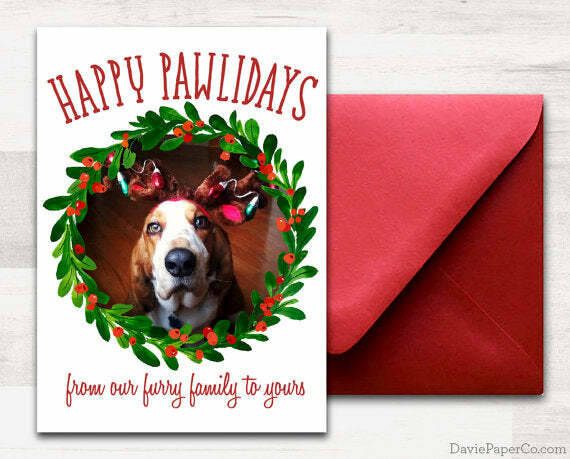 Are you the maker of pet holiday cards? If so, feel free to share in the comments. We always love to support small businesses, especially creatives!